This week last year, Art and I were starting our road trip that was part of the renewal leave I took last summer. You were taking “Flat Sharon” with you on your travels as part of St. Mark’s Summer Fun, and then got to see videos in worship about those travels. Flat Sharon went to doctors, grocery stores, ball games, airplanes, and to close and far-off destinations. There were lots of smiles. Over the last several summers we’ve done a variety of lighthearted programs to encourage people to come to worship and stay connected to church during our hot months. This year’s “Summer Fun” is part of our theme of Connecting to God and One Another. Beginning June 3, you’ll find a bulletin insert that says “Making Connections Trivia,” and has a topic each week and interesting questions. In the courtyard, you’ll find tables with the questions and sticky notes, so you can write answers to questions, and spend time connecting with other people. For example, on June 3, the topic is “Geography,” and one of the questions is “What’s the most unusual place to which you’ve traveled?” Another question is “Where did you attend grade school?” The way the game works will become clear, beginning next Sunday. It’s for enjoyment, and is also a great way to begin conversations with new people, welcoming them to St. Mark’s. 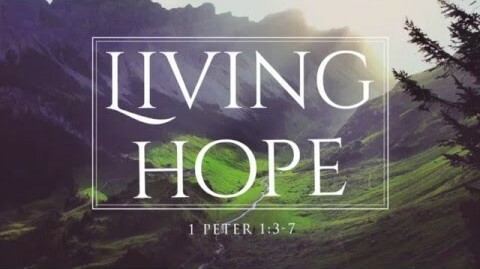 This Sunday, May 27, we celebrate Memorial Day weekend, and begin a new sermon series on Connecting to Jesus … the Power of Hope. Last Friday, May 18, I wrote the weekly email very early in the morning. As the day unfolded we learned of another school shooting, this time in Santa Fe, Texas. We’ve found out that there is a United Methodist Church just a few miles from the school, so this Sunday you can write a note to people in that community by signing a banner (at a table in the courtyard) that will be sent to that church. We know that thoughts and prayers are not enough, but they are important and a beginning of the kind of action that’s needed to change hearts into the love of Christ. Today we pray: Pour out your healing upon the people of Santa Fe, Texas, O God, and strengthen them. As compassion and anger mix, flow and in and through the people and the community and bring hope. Bring us hope, O God, and give us the courage to act with justice, so no more lives may be lost to violence. In Jesus’ name. Amen.